Juniors Printed Feeding Bottle - Set of 3 | Multicolour | Comes in a pack of three feeding bottle which ensure you always have an alternative feeding bottle. Feeding your infant will be an easy task thanks to these attractively printed bottles. 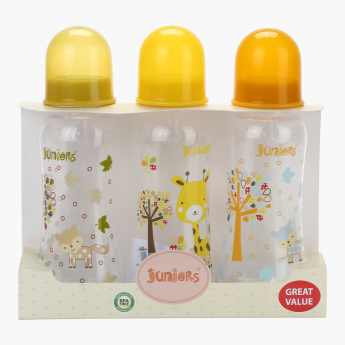 The colour combination is eye-catching and these bottles feature soft silicone teats that the baby will be comfortable with. 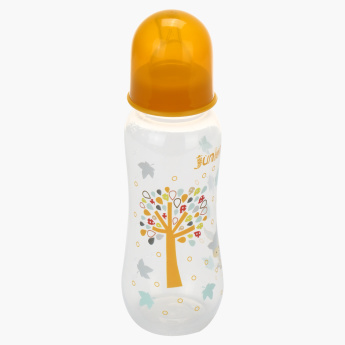 Feature 1 : Comes in a pack of three feeding bottle which ensure you always have an alternative feeding bottle. 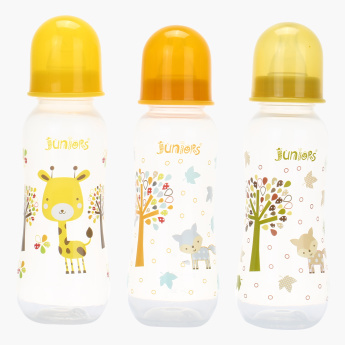 Feature 2 : Attractive color combination which soft silicone teats.